Maker hammered by devastating floods in Thailand. 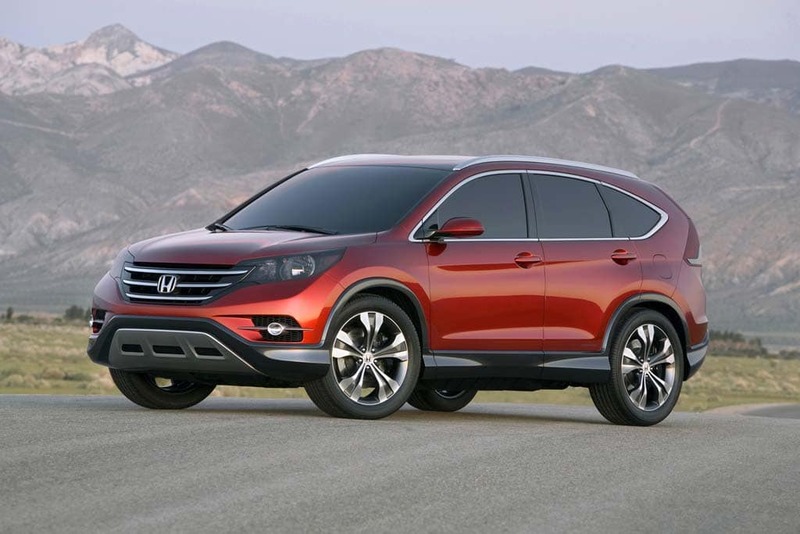 Honda may have to push back the launch of the new CR-V crossover, it says. Ever so close to getting production – and inventories — back to normal after suffering for months from the impact of Japan’s March 11 earthquake and tsunami, Honda has announced it will once again have to slash production by half due to flooding in Thailand. 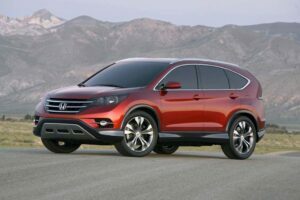 The launch of the new 2012 CR-V crossover, traditionally the compact segment’s best-seller, “could potentially be delayed,” meanwhile, the maker said. The worst floods in decades have crippled not only a key Honda assembly plant in the Southeast Asian nation but at least 10% of its Tier-One and numerous other parts manufacturers. That includes makers of microprocessors — critical components that were also rendered in short supply following the March disaster that crippled the primary plant of Renesas, the world’s largest producer of automotive microcircuits. New bill would reduce regulatory burden. 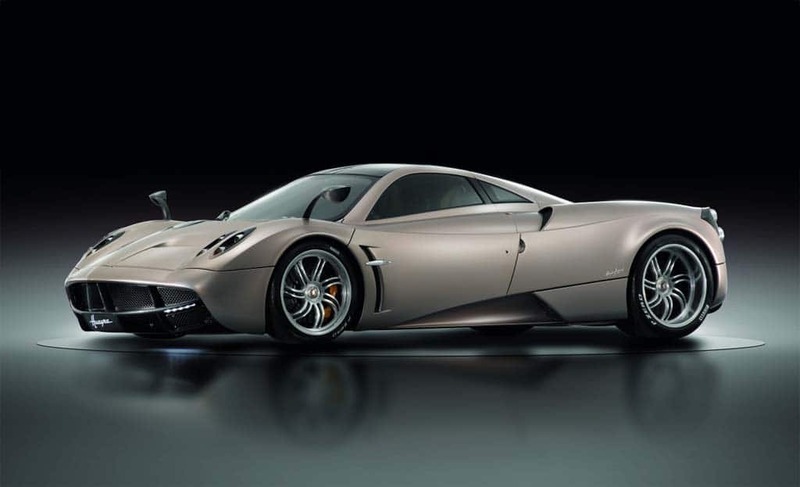 The new rules could make it easier for products like the Pagani Huayra to reach U.S. showrooms. When Lotus pulled the Elise out of the U.S. market at the end of the 2011 model-year it said it had no choice because it couldn’t meet strict new government safety mandates. The proposal, introduced by California Congressman John Campbell, is specifically aimed at helping out manufacturers who produce fewer than 1,000 vehicles annually, a figure that includes the likes of Lotus, Sweden’s Koenigsegg and Italy’s Pagani – whose 700-horsepower Huayra supercar has been at least temporarily delayed because it doesn’t feature the multi-stage airbags mandated by the National Highway Traffic Safety Administration. Performance model aiming to pump some life into Italian brand. Fiat is betting the Abarth edition will pump a little more lift into the slow-selling 500. Despite some ambitious sales goals the little Fiat 500 hasn’t exactly set the U.S. market on fire. 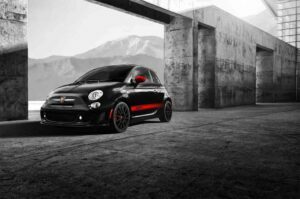 So the Italian partner of Detroit’s Chrysler LLC will be turning up the energy level with the upcoming launch of the 2012 Fiat 500 Abarth. Due to make its debut next month at the L.A. Auto Show, the sportiest version yet of the Cinquecento will feature an all-new 1.4-liter Multi-Air engine bumping the horsepower count to 130 – with an optional performance pack that can deliver yet another 30 ponies. Whether Americans will recognize the Abarth name remains to be seen, of course, but those who do will know that it has a history of living up to the “small but wicked” tagline used for its cars over the years. Born in 1908, Karl Abarth was originally known as an aggressive motorcycle racer before a near-fatal accident ended his career on the track – shifting his focus to the production of exhaust systems and other performance parts. In the ‘40s and ‘50s, “Abarth and C” had a successful career campaigning a variety of Fiat products, including a heavily modified version of the original Fiat 500 microcar. Japanese maker withdraws sales guidance for rest of year. Shortages of the 2012 Honda Civic were a significant drag on the maker's earnings. Honda saw profits for the second quarter of its fiscal year plunge by 68%, well beyond what analysts had been anticipating – and the maker is hinting the situation may not improve as quickly as it originally anticipated. Honda had been hoping to begin a much-anticipated turnaround as it finally got its plants back up to speed in the wake of the March 11 Japanese earthquake and tsunami. But the maker is warning it now faces another serious setback as the disastrous floods in Thailand knock a critical plant out of action. While the maker’s U.S. dealers do no market any vehicles sold in Thailand, that doesn’t mean Honda of America is out of the woods. The loss of the Thai plant could have a significant global impact, as it produces parts and components used at Honda plants around the world. Making matters worse, about 10% of Honda’s Tier-One suppliers in Thailand have also been flooded and so have others down the supply chain. Analysts anticipate best month since Cash-for-Clunkers. The Chrysler 200 has been scoring big gains for the smallest of the Detroit makers. If American consumers are reining in their spending that’s news to new car dealers who appear to have rang up one of the best months since the deep recession began three years ago. Preliminary data suggests that the annualized sales rate for October could approach a relatively torrid 13.4 million to 13.6 million, an increase of as much as 15%, year-over-year – and a sign that momentum may be returning to the automotive market. In recent weeks, industry analysts have been steadily paring back their forecasts for all of 2011 to less than 13 million. With just two months left in the year, the apparent surge could bode well for 2012, however. Drive In - With a Free Subscription! Since August 2009, in fact, and that month’s sales were heavily inflated by the government-funded Cash for Clunkers program. Maker offering factory bodies of original pony car. Workers prep a new Ford Mustang body shell which can recreate anything from a '64-1/2 to a '66 model. Everything old is new again – especially when it comes to the classic 1964-1/2, ’65 and ’66 Mustangs. Like many makers, Ford has a catalogue full of parts for those original pony cars, everything from brakes to seats. But now, it seems, you can even order all-new, factory-approved Mustang bodies rather than having to scrounge up rusted and dinged-up originals. So, for those determined to have an “original” Mustang, Ford turned to Pennsylvania-based Dynacom International, which was given access to original technical drawings, blueprints and specifications for parts. The supplier is producing precise duplicates of the original body – albeit with a few modifications that customers are likely to appreciate. “It’s the worst I’ve seen,” says maker’s top U.S. executive. 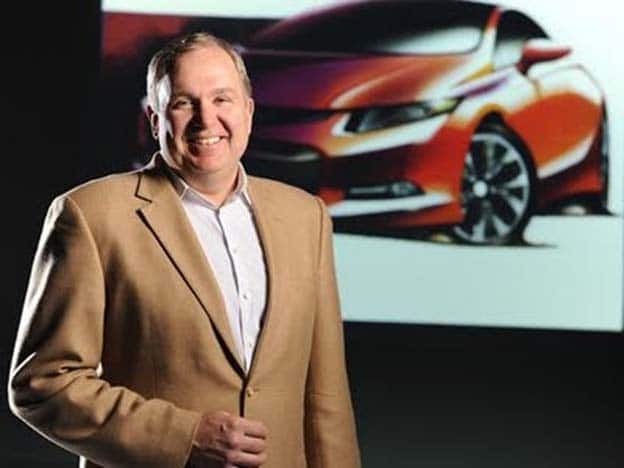 This year "has been the worst I've seen," laments Honda's top U.S. executive John Mendel. As far as John Mendel is concerned New Year’s Eve can’t come soon enough. The top American executive at Honda says this has been the worst year the Asian automaker has experienced since it first entered the U.S. market – though with its factories now back up to full capacity Mendel believes Honda is finally back on track. 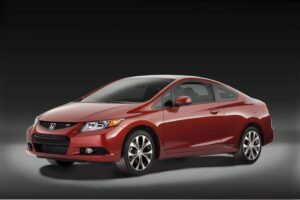 Honda has spent months struggling with shortages of most of its products — notably including the all-new Civic it launched earlier in the year, just before a devastating earthquake and tsunami struck Japan and seriously damaged that nation’s automotive infrastructure. Production is finally back up to normal, just in time for the upcoming launch of the redesigned 2012 Honda CR-V, long the dominant model in the compact crossover segment. GM also gets a boost in its credit rating. 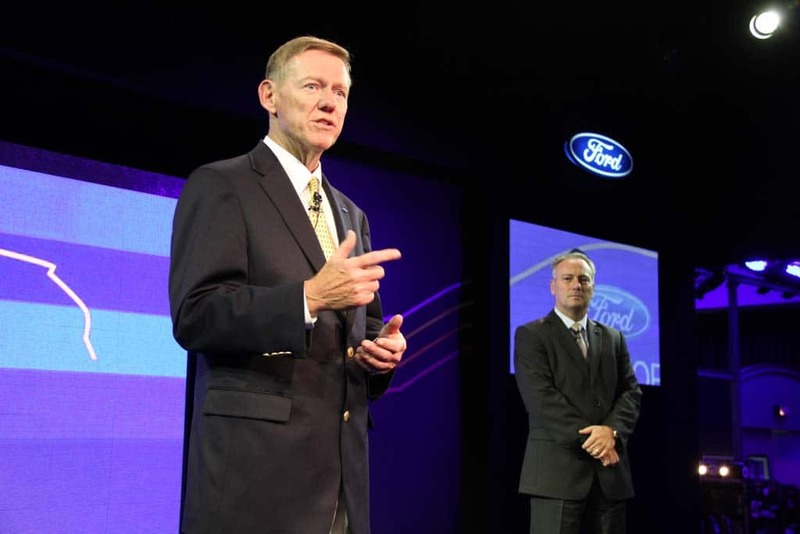 Ford boss Alan Mulally may soon get his wish for an investment grade credit rating. Ford Motor Co. is a small step away from achieving one of CEO Alan Mulally’s key goals after the maker received another upgrade in its debt rating from Moody’s Investors Service – the agency also giving an upgrade to industry giant General Motors Corp. Both makers are now rated at “Ba1,” which is for Mulally one step from seeing Ford regain the investment grade rating it lost in 2005 as its finances began to implode. Getting the next upgrade would provide a halo for Ford’s stock, which has taken some sharp blows over recent months – but it would also reduce the maker’s borrowing costs substantially. The upgrade by Moody’s follows similar actions by its rivals Standard & Poor’s and Fitch, earlier this month. All three ratings agencies cited the improved financials for both Ford and GM, as well as the latest contracts the makers have negotiated with the United Auto Workers Union. Current owners take substantial hit; new owners still have to get factory re-opened. 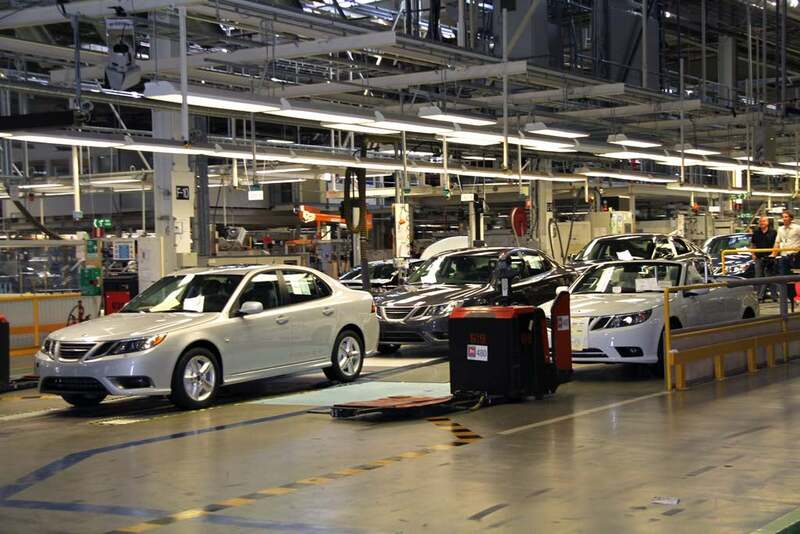 One of the first goals for Saab's new owners will be to reopen its shuttered Swedish assembly plant. Facing imminent collapse, Saab has agreed to a fire sale that will give two Chinese companies complete control of the Swedish automaker – thought the deal must still be approved by Chinese regulators. The 100 million Euro – or $141.4 million — purchase price is a fraction of what the two new owners had originally offered for a significantly smaller stake in Saab, but the company appeared to have few other option, with a court-appointed administrator ready to force the troubled firm into bankruptcy. 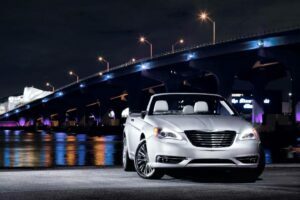 Saab becomes the second Swedish automaker to fall into the hands of the Chinese, following Ford Motor Co.’s sale of its former Volvo subsidiary to China’s Zhejiang Geely Holding Group Co. in early 2010. The new deal means “a much stronger future for Saab,” proclaimed Tim Colbeck, CEO of Saab’s U.S. sales subsidiary, during a conference call Friday morning. 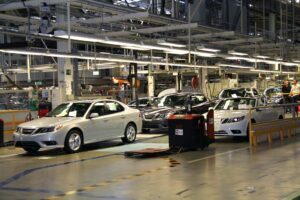 Colbeck said that efforts will begin almost immediately to re-open the automaker’s primary assembly plant, which has been idled by financial problems since March. Systems alert drowsy drivers, encourage teens to drive safely. 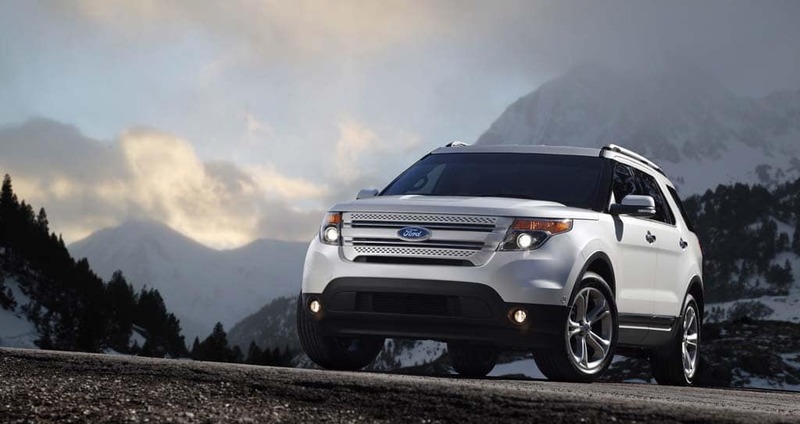 The Ford Explorer will get a new system designed to alert a driver falling asleep behind the wheel. Ford Motor Co. wants to make sure you don’t fall asleep behind the wheel – something four in 10 Americans admit they have done at one time or another. A new system designed to alert drowsy drivers is among a number of new safety technologies the maker is planning to bring to market, it revealed during a background briefing. Other systems include one intended to encourage drivers and passengers to buckle up, while another allows parents to ensure young drivers don’t get distracted by phone calls while behind the wheel. The new Ford Explorer will be getting a Lane Keeping System that can warn drivers if it detects they are getting too tired to drive. More than 40% of Americans say they have fallen asleep or nodded off while driving, according to a survey conducted by the AAA Foundation for Traffic Safety.